PrimacareRX | Can you control the health of your offspring? 07 Aug Can you control the health of your offspring? 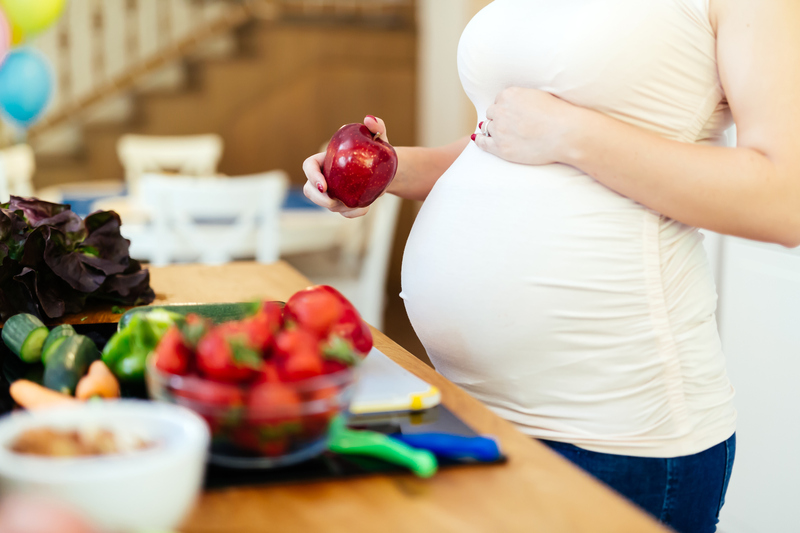 Did you know that what you eat, how stressed you are, and your environmental exposure to certain chemicals can determine your uterine fluid environment and shape the development and gene expression of your baby? Maternal stress during pre-implantaion and implantation can directly impact offspring health. Uterine fluid homeostasis plays an essential role in regulating embryonic implantation.1 Uterine fluid is the liquid medium that connects the embryo to the uterus. This fluid is what confers maternal-embryonic communication. Molecules in the uterine fluid can directly shape how an embryo develops because the uterine fluid molecular composition is sensitive to a changing maternal environment. If a mother is nutritionally stressed, the composition of her fluid can change and alter the way in which the embryo develops. Therefore, women who are expecting to become pregnant should make sure they are eating right, de-stressing, and avoiding harmful chemicals as this is a key time in determining offspring health. Below are some ways to ensure you are doing this. Once implantation has occurred and you are pregnant (yay!) make sure you are still maintaining a healthy diet and lifestyle. One way to ensure you are obtaining necessary nutrients is to take a prenatal vitamin like PrimaCare™. PrimaCare™ delivers 470 mg of omega-3s, 50 mg of vitamin B6, and a bioavailable form of folate in the form of Quatrefolic®. REFERENCES: 1. Ying Zhang, Qiang Wang, Hongmei Wang, Enkui Duan. Uterine Fluid in Pregnancy: A Biological and Clinical Outlook. Trends in Molecular Medicine, 2017; 23 (7): 604 DOI: 10.1016/j.molmed.2017.05.002. 2. Cell Press. “The biology of uterine fluid: How it informs the fetus of mom’s world.” ScienceDaily. ScienceDaily, 22 June 2017. <www.sciencedaily.com/releases/2017/06/170622121913.htm>. 3. Amino acid composition of human uterine fluid: association with age, lifestyle and gynaecological pathology. Kermack, A.J. et al. Hum. Reprod. 2015; 30: 917–924. 4. Metabolic induction and early responses of mouse blastocyst developmental programming following maternal low protein diet affecting life-long health. Eckert, J.J. et al. PLoS One. 2012; 7: e52791. 5. Adaptive responses by mouse early embryos to maternal diet protect fetal growth but predispose to adult onset disease. Watkins, A.J. et al. Biol. Reprod. 2008; 78: 299–306. 6. Maternal nutrition modifies trophoblast giant cell phenotype and fetal growth in mice. Watkins, A.J. et al. Reproduction. 2015; 149: 563–575.